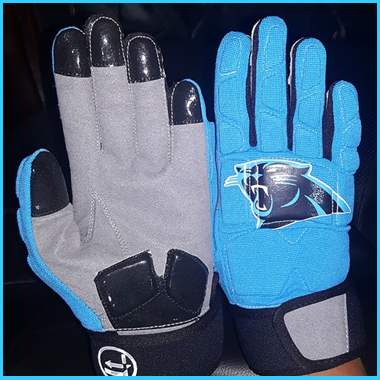 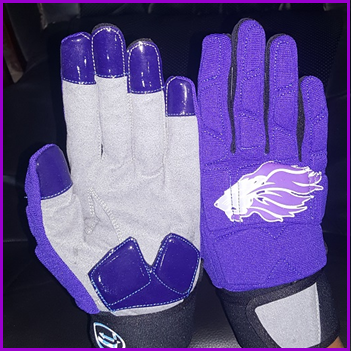 Custom lineman’s football gloves with velcro wrist closure. 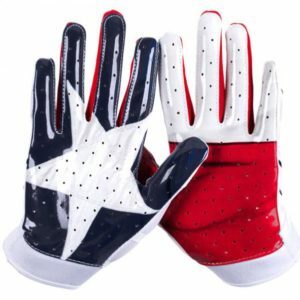 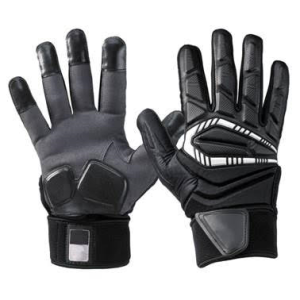 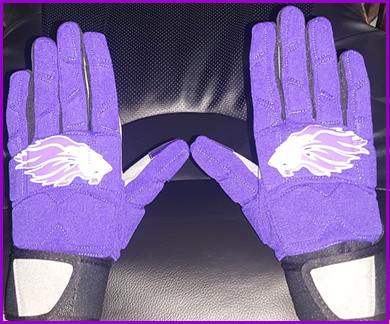 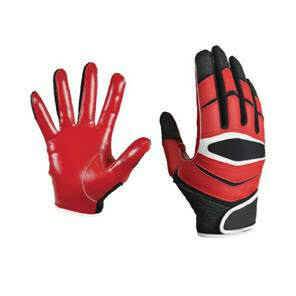 Gloves include a leather palm with padded back of hand, padded heal and reinforced fingertips. 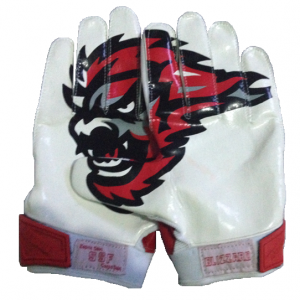 Custom logo can be added to the back of hand.